HPBOSE 12th Result 2019 will be declared today at 1:00 PM. 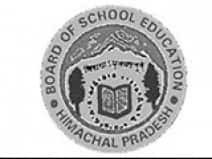 The Himachal Pradesh Board conducts examinations of Matriculation (Class 10) and Inter examinations (Class 12). Class 10th Examination for the regular students has begun from March 7. Like HP Board 2018 Class 12th examination, Class 10th examination is also conducted in two shifts. The morning shift of the examination starts from 8:45 AM, and ends by 12:00 PM. This Examination time is for the regular students. The State Open School students have to appear for the exam from 1:45 pm to 5:00 pm. Nearly 2 lakh students are appearing for the intermediate and Matriculation board examination. After the exams Himachal Board 12th result was declared on 24th April and HP Board 10th Result 2018 was declared on 4th May. Students check result on www.livehindustan.com. Apart from this, the results can be checked on the official website of the Board.